Located in the small town of Burgfarnbach in Southern Germany, the family business currently employs over 350 local townspeople and operates a factory with 368,000 square feet. 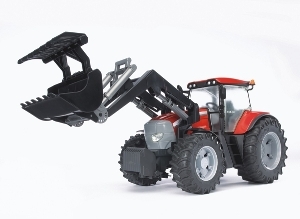 In an extremely competitive marketplace, Bruder Toys refuses to use labour exploitation. Bruder has innovated top computer operated machinery and robots, making it possible to maintain all manufacturing and reliability tests in-house. Going into its ninth decade, Bruder Toys continues its commitment to remain one of the most reliable, specialty toy manufacturers in the world. Designed by famous bear artists from around the world, the Charlie Bears Collection is a traditionally hand-made range of fully jointed bears which are oozing with personality. Each adorable bear is made with the finest plush or mohair and is presented in their very own canvas collectors bag. With the greatest attention to detail, this collectable range is rapidly growing in popularity due to its affordability. Established in November 2005, Charlie Bears create an ever changing range of fantastic friends. Nestled in the beautiful English Lake District, it is easy to see where Colony get their inspiration. 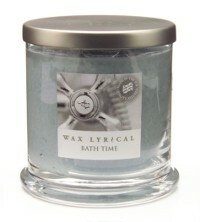 They produce candles, home scents and candle accessories. Colony was founded 25 years ago as a family owned company and is still run with an ethos of family values. Even though we have grown to export to over 40 countries across the globe, our reputation for warmth and friendliness continues to be one of our main strengths. The company name was inspired by the renaissance Englishman, John Evelyn, who is most famous for Sylva, the first important work on conservation, published at a time when England’s forests were being stripped of timber to build ships for the expanding British Navy. Their symbol, the Crabtree or Wild Apple, is native to Britain and the ancestor of all cultivated apple trees. It was highly prized for its beauty as well as its usefulness in home apothecary. In her own words, Emma's inspiration is "Anything involving the sea, I love to paint harbour scenes, boats and seagulls." We stock Emma's cards and prints, as well as linen, mugs, and tin-ware featuring her designs. Emma Bridgewater's distinctive pottery is made from an earthenware mix that is a variant on Josiah Wedgwood's 18th century recipe for creamware. 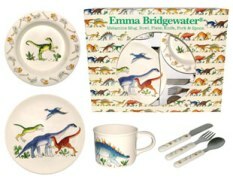 We stock Emma'a pottery, as well as linens, tins, melamine sets, and stationery featuring her designs. Jo Lo Mo, or John Lowrie Morrison, is one of Scotland's best loved contemporary artists. He has painted the west coast of Scotland since the early 1960s. He paints the light of the west - the light that bathes the inner and outer hebrides. We stock a variety of JoLoMo merchandise - from place mats and greetings cards to mugs and calendars. Olney Headwear has long been recognised as a producer and supplier of fine quality hats. The company, based in Luton, England, was established in 1910, when it was created by Albert E. Olney, and is now owned and run by the fourth generation of Olney’s. Truly, Radley, Deeply. . . Needing no introduction, Radley & Co, Tula & Hidesign are all part of the same group and produce handbags, bags, umbrellas, hats & scarves, purses, wallets and other small leather goods.